Come see our middle school orchestra perform Jazzy Christmas tunes, Halo, How far I'll Go and more at Stonestown Galleria! We would love to see you all at our annual Winter Concert at Woodrow Wilson Elementary School! Check out our exciting Winter News! Check out our news about our affiliation with 10 other Harmony Project programs and more! 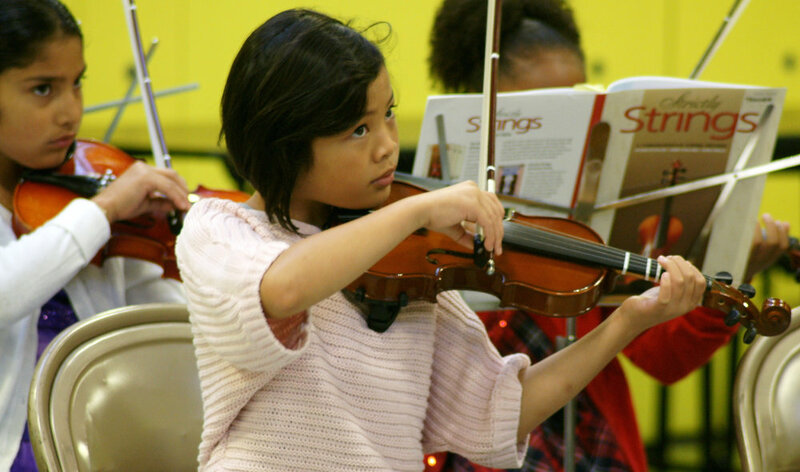 Check out this short interview with a couple fourth grade violin students and hear all about their experiences at Harmony Project SF Bay Area so far! Rebecca Reed-Lund, one of our amazingly passionate and dedicated teachers wrote a response to Sunday’s Chronicle about “Mr. Wilson”, and it was published yesterday as the top letter!